In this world, humanity has been driven underground to live like moles, hiding from the fearsome monsters which roam the surface. The monsters are impervious to every sort of weapon known to man. The only ones with the power to defeat them...are the Ayanashi. One day, in one such underground city, a pair of siblings encounter a mysterious boy covered in wounds. The boy introduces himself as Holo, and in the following days slowly opens up to the pair...until a monster from the surface descends upon the city, laying waste to everything in its path. 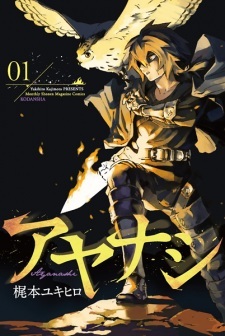 Holo stands to face the threat, brandishing a flaming short sword attached to his right arm. And so, the story of bringing light back to a world of everlasting darkness begins. 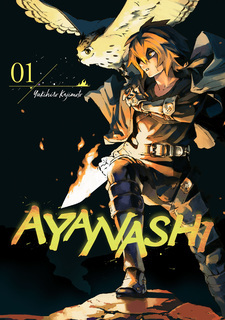 Ayanashi has been published digitally in English by Kodansha Comics USA since December 5, 2017.